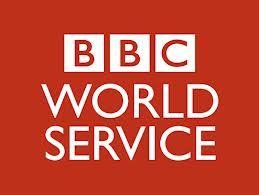 The BBC World Service becomes a licence-fee funded service this week. It's the result of the 2010 licence fee agreement, which sees the international service switch from Foreign and Commonwealth Office (FCO) funding. Launched in 1932 as the BBC Empire Service, the station was subject to dramatic cutbacks over the past three years as FCO funding was reduced. As a result, in 2011 the BBC announced that up to 650 jobs would be cut. It also axed the World Service's AM service for Western Europe on 648 kHz Medium Wave, along with short wave transmissions in several parts of the world. In February, World Service Director Peter Horrocks announced an £8 million investment plan in the BBC World Service, with a long term goal to shift more content onto digital platforms, saving £15 million over three years. No longer the place for expats to listen to news from home, thanks to the internet and availability of domestic radio stations streamed to mobile devices, the World Service is focusing on creating international versions of Radio 1's Newsbeat to reach younger audiences abroad as well as mobile and TV news services in different languages. For BBC users in the UK, the World Service will be responsible for providing additional insight to international news and current affairs stories. With the co-location of World Service and UK domestic news at Broadcasting House, BBC World Service reporters are now increasingly seen on the BBC News Channel providing viewers with information on international events and World Service content is already integrated onto BBC News Online. To help cover the costs of international distribution, listeners abroad may now hear adverts inserted into World Service radio programming, following a successful trial in Berlin. The move brings World Service Radio in harmony with the BBC website, which serves adverts to readers outside of the UK. While the BBC's Arabic and Persian TV channels fall under the World Service banner and licence-fee funding, the English language BBC World News TV channel remains a separate, commercially funded operation. BBC World News TV was never funded by the Foreign and Commonwealth Office. Everyone with access to the BBC channels on Freeview can listen to the World Service on channel 710. It's also carried on Sky, Virgin and Freesat as well as online via iPlayer Radio. This is in addition with the overnight simulcast on BBC Radio 4 between 0100-0520 UK time.